Norwegian Getaway will be delivered in late January 2014, earlier than Norwegian Cruise Line originally scheduled, and will sail a seven-day Eastern Caribbean itinerary from PortMiami year-round. Carrying 4,000 passengers, Norwegian Getaway will be the largest ship to home port year-round in Miami and will embody a unique Miami vibe. The Netherlands on January 16, 2014 and include a stop in London (Southampton), England where guests can also embark, followed by nine days at sea before arriving in Miami on January 27, 2014. Norwegian Getaway will open for group block bookings to travel partners on October 8, 2012. Reservations will open to the public on October 22, 2012. To accommodate Norwegian Getaway’s arrival in January, the company is modifying the itineraries of its existing ships in Miami during that time. Beginning February 2, 2014, Norwegian Epic will depart Miami on Sundays and sail a Western Caribbean itinerary. Ports of call include: Ocho Rios, Jamaica, Cozumel and Costa Maya, Mexico. Norwegian Sun will now depart Miami on her 10 and 11-day Southern Caribbean itineraries a day later than scheduled on Mondays and Thursdays. 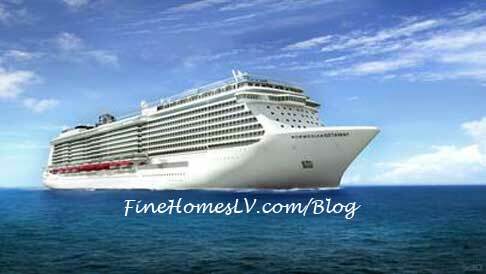 Norwegian Pearl, which had been scheduled to depart Miami on Sundays will be chartered from January 19 to March 21, 2014. In addition, four new seven-day Western Caribbean itineraries will be added on March 21, March 28, April 4 and April 11, 2014. Currently being built at Meyer Werft in Germany, Norwegian Getaway will be 146,600 gross tons and offer a wide range of accommodations. The ship will also feature a rich mix of stateroom options including The Haven by Norwegian, comprised of 42 Suites at the top of the ship in an exclusive, private key-card enclave and 22 additional Suites located throughout the ship; the innovative Studios, designed and priced for solo travelers; a wide range of Oceanview staterooms, Balcony and Mini-Suites; along with Spa Balcony, Mini-Suites and Suites in close proximity to the spa. Norwegian Getaway’s sister ship, Norwegian Breakaway, will begin sailing from her year-round home port of New York City in May 2013. To reserve a group block, travel partners can contact Norwegian on October 8. Beginning October 22, guests wanting to make a reservation on Norwegian Getaway should contact a travel professional, call Norwegian at 800-327-7030 or visit www.ncl.com.